‘RBG’ will encore Saturday, Sept. 29 at 9:00pm Eastern on CNN/U.S. The critically-acclaimed documentary film is directed by Betsy West and Julie Cohen for Storyville Films, and executive produced by Amy Entelis and Courtney Sexton of CNN Films. The film explores the remarkable legal legacy and life of Justice Ruth Bader Ginsburg, who has become a multigenerational pop culture icon, and celebrates 25 years on the U.S. Supreme Court in 2018. ‘RBG‘ will also stream live via CNNgo platforms and CNN mobile apps. It will be available on demand via cable and satellite systems, as well as CNNgo and CNN mobile apps, beginning Sunday, Sept. 30 through Tuesday, Oct. 02. 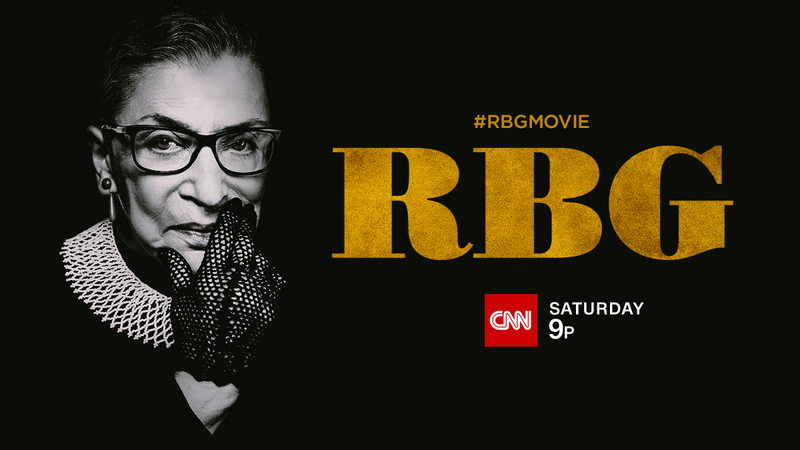 Viewers are invited to follow the social conversation around the film by following @CNNFilms, and using the hashtag, #RBGMovie. In addition to the broadcast, listeners can enjoy ‘Beyond Notorious,’ the companion podcast series that adds context to Ginsburg’s legal decisions and career, as well as explores her remarkable romance with her late husband, Martin Ginsburg, whom Ginsburg credits with making her contributions to American life possible. Hosted by CNN’s Poppy Harlow and Jeffrey Toobin, ‘Beyond Notorious’ includes conversations with Ginsburg’s granddaughter, Clara Spera; son of late Supreme Court Justice Antonin Scalia, Eugene Scalia; former Ginsburg clients (and Supreme Court plaintiffs) Stephen Wiesenfeld and Sharron Cohen; and CNN legal analysts Joan Biskupic and Ariane de Vogue. ‘Beyond Notorious’ is currently available via podcasting services such as Stitcher, iTunes, Amazon, and more. ‘RBG’ premiered to critical acclaim at the 2018 Sundance Film Festival, where it was acquired by Magnolia Pictures and Participant Media for worldwide distribution.